Meet Nathan Pyne-Carter, Managing Director of Ace Aquatec, who shares his collaborative approach with preferred Electronics Manufacturing Service Provider (EMS) Dynamic EMS. Leading UK based Contract Manufacturer, Dynamic EMS (http://dynamic-ems.com/), was approached by Ace Aquatec (https://aceaquatec.com/) during 2017 to explore how they could bring their humane fish stunning technology from design to development, and distribution. “As Dynamic EMS takes care of operations for us, our time is freed up to allow us to enjoy a ‘hands-off’ approach to manufacturing, enabling us to focus on our own core competencies of Research & Design and Marketing. 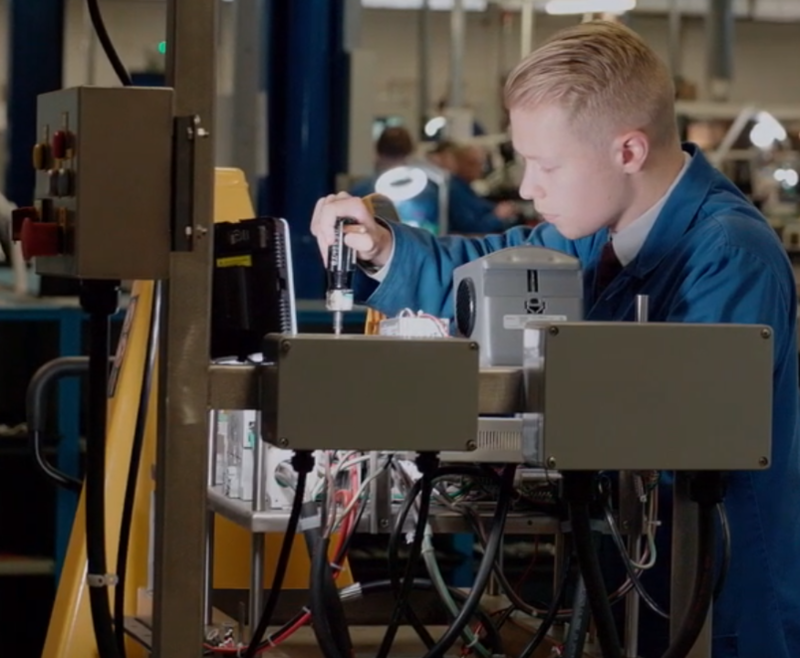 This has helped to inject speed into our own business, allowing us to review the next generation of our equipment and continuous improvement, with a high degree of frequency. “As a start-up and growing business, the ability to be able to scale in accordance with real-time market demand is key for us. Dynamic EMS specialises in low volume/high mix electronics (LVHM) manufacturing, which is perfect for us. Over a relatively short period of time, our forecast has gone from a small initial prediction, through to large volume production, and Dynamic EMS has been flexible and transparent throughout. Ace Aquatec specialises in acoustic marine mammal deterrents and humane electrical fish stunning equipment. Our markets are aquaculture, off-shore construction/demolition and fishermen. The US3 is the latest model of acoustic deterrent for the fish farming industry offering data logging, high and low frequency transducers, and sonar triggering. The MMD is offered to the long line fishermen, to offshore platforms engaged in pile driving and government organisations engaged in post oil spillage response. The sophisticated electronics drives marine wildlife to a zone of safety. The HMD is a hull variant of the MMD offered to longline fishermen to reduce by-catch. Electric stunning: The HSU is the latest model of electric stunner. It allows the user to pre-programme a range of parameters for stunning many species and sizes with the same machine. Biomass camera systems: The biocam creates 3D renders of fish using time of flight technology. Sealice removal and destruction systems: mechanical solutions to sealice. Bringing breakthrough technology innovations to the aquaculture and marine industries.